With technology consolidating its presence in the healthcare industry, it has opened a new market for the healthcare startups, with innovative ideas floating around. Over the years, the industry has seen many healthcare IT innovations making their way in the form of wearables to applications to solutions. But now, the industry has entered an altogether new phase, with healthcare records moving online, doctors and patients looking forward to mobile solutions, diagnosis from doctors sitting hundreds of miles away, tracking medicine regime, 3D printing and much more. However, with startup movement gaining pace in India, new innovations in IT healthcare is order of the day, with more and more devices and systems making their entry into the healthcare ecosystem at fastest-ever pace with broader diversity. Startups penetrating into the healthcare industry are eyeing the horizon that doesn’t seem too far away, with medical breakthroughs in the segments, such as computing, writing algorithms and analytics. They try targeting respective audiencesâ€” doctors and patients by bridging the gap in the prevailing unorganised healthcare system, and bridging the supply-demand gap with innovative solutions in an ecosystem where healthcare market and digital health had been poles apart for long. These startups are leveraging advanced technology with high analytics to grab the untapped potential of the market. Although the healthcare industry in our country is complex in nature, especially at the grassroots level, it also presents a huge opportunity. The sector is well on its way to touch the magical figure of US$300 billion by 2020. It is without any doubt that despite ample opportunities, there are a lot of hurdles in this sector due to lack of clarity in the regulations. If we look at startups into online pharmacies, there is no transparency of laws and regulations for them. According to some, they are allowed to sell drugs online, others say they are not. Due to this lack of clarity, innovators are skeptical in venturing into this sector. If there is more clarity for these startups, there will a clear path for them to grow at a faster pace, which in turn will help the Indian economy and ecosystem grow. In fact, the government should ease the laws and regulations for the startups making India stand out globally. Even as the healthcare sector makes its way to the digital world, the startup as newbies in the domain are facing various hurdles in implementing their innovative ideas. These companies face their share of obstacles. 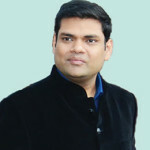 Nipun Goyal, Co-founder, Curofy, told Elets News Network, It is without any doubt that despite ample opportunities, there are a lot of hurdles in this sector due to lack of clarity in the regulations. If we look at startups into online pharmacies, there is no transparency of laws and regulationsÂ for them. According to some, they are allowed to sell drugs online, others say they are not. Due to this lack of clarity, innovators are skeptical in venturing into this sector. If there is more clarity for these startups, there will a clear path for them to grow at a faster pace, which in turn will help the Indian economy and ecosystem grow. In fact, the government should ease the laws and regulations for the startups making India stand out globally. The easy availability of well trained medical staff and booming investments in the sector are India’s advantage. Startups continue to face a variety of roadblocks in functioning and implementation, as the sector remains largely unorganised. Low insurance coverage is one such hurdle that hampers growth. Increase in insurance coverage as well as simplifying the procedure would bring in liquidity to the business. There is also a need for a streamlined regulatory framework to give an overview of the operations of healthcare startups. The absence of a strong mentorship programme, essential for the growth and scaling of any startup, further adds to the problem. 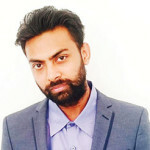 The challenge of cash flows is one of the distresses faced by most of the entrepreneurs in the healthcare space said Shivam Bhagat, Founder and CEO, Pockdoc to Elets News Network. The growth in the healthcare sector is slow; therefore, it is essential for the startups to tackle the roller coaster ride with patience. Innovative ideas do not receive immediate funding and those who receive have to walk down a long path for recognition. There might not be tough competition, but only a few can survive the sluggish pace of the sector. 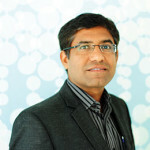 M N Rao, Chairman, MediSys Edutech said, The challenges faced by healthcare startups emerge from many quarters, though regulation is perhaps a dominant one. Often, regulations simply fail to play a proactive or a supporting role they can and are required to play. In that sense, they are usually inhibitors to innovation, and not necessarily roadblocks except in a few areas. From drug launches to medical education to health insurance to health informatics, the ambit of regulation is very wide. Regulatory convictions run deep in some areas, while oversight and ineptitude hurt in other areas. The industry awaits innovations in operating models, not merely is drugs and devices. The manner, in which regulation actually impacts healthcare startups and model innovations, is perhaps not very obvious to the casual observer. But, there are many contexts that are illustrative. Easy availability of well-trained medical staff and booming investments in the sector are India’s advantage. But startups continue to face a variety of roadblocks in functioning, as the sector remains largely unorganised. Increase in insurance coverage as well as simplifying the procedure would bring in liquidity to the business. There is also need for a streamlined regulatory framework. The absence of a strong mentorship programme, essential for the growth and scaling of any startup, further adds to the problem. The challenge of cash flows is one of the distresses faced by most of the entrepreneurs. Healthcare has witnessed a progressive investment activity over the last few decades, though it has been more in the secondary and tertiary healthcare delivery. As an evolutionary mode, this investment has moved towards segments like primary care, medical devices and health services, and we have seen a lot of startups in these areas recently. Clearly, primary care is the need of the hour as India moves from treatment to prevention and day-to-day healthcare. Also, with the advent of technology and mobile engagement, health services industry across the world including India has witnessed a spurt of activity. All startups are challenged by regulatory, compliance and other elements in the early few years distracting their focus from their objective and being successful. Healthcare startups are no different and have to face a few more regulatory challenges in the form of licenses and other tedious regulatory requirements, especially for setting up a primary care centre. Other regulatory challenges faced by healthcare sector include increased cost due to service tax on essential products like insurance and other health service businesses providing healthcare to the public. Also, there is a requirement of licences for health service providers associated with insurers even though insurers themselves are already regulated. Healthcare being a very sensitive issue to consumers and the government, health tech startups have to face many regulatory roadblocks to reach their customers. Various associations of healthcare industries lay down a lot of rule and regulations,Â which mostly lack clarity that creates a lot of confusion in the workspace. 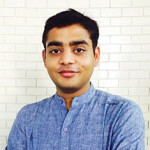 Aditya Kandoi, Co-founder, Care- OnGo told Elets News Network that in India, laws related to pharmacies were written prior to the arrival of computers, let alone the Internet. Drug and Cosmetics Act 1940, Drugs and Cosmetic Rules 1945, Pharmacy Act 1948 and Indian Medical Act 1956 were written way before the e-commerce era. Therefore, there is no clarity on the regulations for online pharmacies. Information Technology Act 2000 still lies in the grey zone, when it comes to healthcare technology. As per the regulations, the prescribed drugs cannot be dispensed without a valid prescription. â€œBut on our platform, the prescription is verified by a qualified pharmacist before the order can be processed for delivery within the same day. The original copy of the prescription is checked and stampedÂ to avoid the drug-abuse cases. Also, there are stricter regulations on the sale of Schedule X drugs and we do not sell the same at our platform. The PM speech was like an icing on the cake. While the entire summit was aimed at promoting startups, our expectations were limited to motivating the youngsters in taking initiatives for doing something they believe in. However, we truly feel that this summit has been worthwhile after listening to the announcements made by the PM. Policies like no capital gain, no taxes for three years, and most importantly, the Startup Fest will allow us to build a healthy collaborative environment with an aim to grow in this competitive world. He maintained that the present healthcare issues cannot be resolved without technology and the government needs to play the role ofÂ a facilitator to encourage technology disruption in healthcare. However, the government laws are not yet clear on using digital prescriptions for dispensing medicines. Online payment of medicines still lies in the grey zone as there is no clear stance taken by the government, he further said. Healthcare companies face regulatory roadblocks at different points throughout establishment. Starting with the registration formalities, a typical new hospital requires clearances from at least 30 different agencies. This includes both local and central government agencies. Diverse procedural requirements, like X-rays, lab machines, pharmaceuticals, etc., call for unique approvals. The narcotics licence for controlled usage of drugs and pollution control mechanism certification, among many others, require separate clearances. In short, these take anywhere between three to six months for completion. For entrepreneurs making healthcare a part of the digital era has been a challenge. The consumers seem to be comfortable in purchasing apparels or home appliances online, but when it comes to health, trust and authenticity plays a major role. The adoption of technology is a big hurdle to cross with minimal efforts from the government to promote technological innovation in this domain. 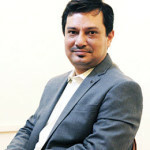 Nilesh Aggarwal and Amit Sharma, Co-founders, eMediNexus, told Elets News Network (ENN), â€œHealthcare startups face a variety of roadblocks, apart from registration and maintenance of corporate status. Internet-based startups have to deal with low insurance coverage, a massive shortage of data and confusion around permissibility of the virtual delivery of services. Brick and mortar startups have to deal with the fit out and construction cycle, heavy permitting and expensive term, and working capital financing. The devices segment lacks a clear regulatory framework clarifying even basic distinctions between devices and drugs. Still, there is significant activity in these segments with regard to establishment and growth of startups. 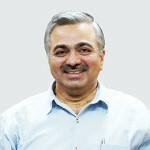 The overwhelming growth of insurance would build capacity and liquidity throughout the segment, and the government is singularly placed to accelerate its pace, they further said, adding, â€œA disease repository for matching the supply of healthcare capacity optimally with demand is also sorely missing, although significant public health efforts have been undertaken across the country. Further, viability gap in funding and operational financing would be helpful to startups across the board. Challenges in medical education lead to major bottlenecks in the availability of skilled workforce, which leads to expensive services, or its lack of availability. There is a lack of a formalised framework for continuous medical education, in addition to the slow pace of creation of new medical colleges. Finally, increased public health expenditure is not just a desire of startups but required for the benefit of the nation and its productivity. To the extent possible, the private sector would collaborate and fill the void, but the overall quantum of contribution is in a fledgling stage. Laws related to pharmacies were written prior to the arrival of computers, let alone the Internet. Drug and Cosmetics Act 1940, Drugs and Cosmetic Rules 1945, Pharmacy Act 1948 and Indian Medical Act 1956 were written way before the e-commerce era. Therefore, there is no clarity on the regulations for online pharmacies. Information Technology Act 2000 still lies in the grey zone, when it comes to healthcare technology. As per the regulations, the prescribed drugs cannot be dispensed without a valid prescription. Even with the hype of ˜Make in India’s campaign, the lack of regulations in the market is making it easier for the foreign players to dominate the market. Sandeep Napa, Co-founder and CEO, HealSpace, talking to Elets News Network said, â€œ70 per cent of the medical devices sold in India are imported, but a structured regulatory mechanism in India is lacking, putting patients at risk. The recent amendment to the Drugs and Cosmetics Act and the governmentâ€™s decision to allow 100 per cent FDI in the device sector are steps in the right direction, but device manufacturers and hospitals can be proactive in ensuring patient safety. Competing for priorities should not impede our common goal of making healthcare affordable and outcome-driven. market struggling to convert orders into sales. 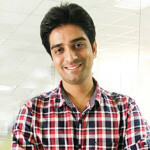 The Director of online pharmaceutical company BigChemist.com, Puneet Kapoor, told Elets News Network that the absence of clear laws and regulation for the online healthcare and pharmacy under the prevailing acts is the biggest challenge for the e-healthcare startups to operate. This is a major roadblock as it does not help strategise the expansion and operating activities. The lack of implementation of GST is also a major roadblock. For e-healthcare, the need for central regulatory framework rather than state framework is very important and need of the hour to ensure that the e-healthcare can serve pan India to provide affordable, quality and primary healthcare to all segments of the society at large. ForÂ instance, the law does not identify delivery vis-Ã -vis dispensing. The online pharmacy startups are already facing opposition from the offline chemists, and adding to that is the scrutiny of the regulators. They are spending their large chunks of investments to improve patient awareness of proper prescriptions. Healthcare startups face a variety of roadblocks, apart from registration and maintenance of corporate status. Internet-based startups have to deal with low insurance coverage, a massive shortage of data and confusion around permissibility of the virtual delivery of services. Brick and mortar startups have to deal with the fit out and construction cycle, heavy permitting and expensive term, and working capital financing. The devices segment lacks a clear regulatory framework clarifying even basic distinctions between devices and drugs. Still, there is significant activity in these segments with regard to establishment and growth of startups. Healthcare companies face regulatory roadblocks at different points throughout establishment. Starting with the registration formalities, a typical new hospital requires clearances from at least 30 different agencies. This includes both local and central government agencies. Diverse procedural requirements, like X-rays, lab machines, pharmaceuticals, etc., call for unique approvals. The narcotics licence for controlled usage of drugs and pollution control mechanism certification, among many others, require separate clearances. In short, these take anywhere between three to six months for completion, Dr Adarsh Somashekar,Â Director and Consultant Pediatrician, Ovum Hospital, Bangalore, told ENN. As there is lack of proper knowledge about online healthcare domain, the government can take this issue and start educating our people to book through online portals for greater convenience of the patients and with least hassle. A thorough campaign is needed to make more people aware and especially in rural areas, so that more and more people go the registered practitioner rather than to quacks, which will ultimately lead to more traffic to online healthcare portals. The government can also make it mandatory for all medical practitioners to register themselves with their respective organisations online, along with all their details, and update it regularly for general people to know and choose their doctors. He further added that sourcing investment capital is another challenge. Hospitals need to acquire land and equipment as per the standard government norms and procedure. Procuring loans are a hassle, as there is no subsidised rate of interest and repayment window is limited to three to four years. Loans are not disbursed without collateral this makes access to funds a major concern. Albeit the healthcare entities are levied service tax for the services they avail, charging the customers any service tax is not allowed, thereby causing financial duress to the healthcare providers. Besides, no incentives are provided in the form of tax breaks or the likes for the initial period of operations, despite the fact that employment is generated for more than 130 persons. 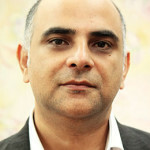 Vipul Jain, CEO and Founder, Advancells, said, â€œRegulations are important in this industry as we are dealing with the health and lives of people and unless the government regulates the proceedings well, it will be difficult to offer safe and well researched treatment to the general public. However, unfortunately healthcare is over regulated in India. Regulations here present a major roadblock in research and innovation as most regulators have a closed mind towards innovations. It is almost impossible to get new trials registered in our field and even if you do, hardly any trials in the recent history have been approved by the regulatory bodies. â€œ70 per cent of the medical devices sold in India are imported, but a structured regulatory mechanism in India is lacking, putting patients at risk. The recent amendment to the Drugs and Cosmetics Act and the governmentâ€™s decision to allow 100 per cent FDI in the device sector are steps in the right direction, but device manufacturers and hospitals can be proactive in ensuring patient safety. Competing for priorities should not impede our common goal of making healthcare affordable and outcome-driven. â€œThere is almost no incentive towards innovations. The government does have a lot of schemes towards extending financial aid, but it is very difficult to even complete the paperwork to apply for these grants. Healthcare research requires heavy capital investments and there are no subsidies available for startups to make that kind of investment. Healthcare incubators are unheard of and general outlook of regulators towards innovation and research is always negative. With a renewed focus on innovation in the startup India plan, we hope the things to change and regulatory approvals for research and innovation to get easier. The healthcare startup companies wish to closely work with the government making a cohesive partnership to put in efforts to make healthcare accessible to every citizen of the country. Prime Minister Narendra Modiâ€™s â€˜Startup India, Stand Up Indiaâ€™ initiative can offer a much needed motivation to the local entrepreneurs but, bureaucratic and regulatory red tape slows down the process. It is required that the government address this issue making it easier for the small businessmen to set up their ventures. Bank funding is still a challenge for startups in general and tech organisations in particular, as the collateral requirement is difficult to comply with in the nascent stage. The entrepreneurs sometimes find themselves wired in the maze of laws and compliances across states. The absence of clear laws and regulation for the online healthcare and pharmacy under the prevailing acts is the biggest challenge for the e-healthcare startups to operate. This is a major roadblock as it does not help strategise the expansion and operating activities. The lack of implementation of GST is also a major roadblock. For e-healthcare, the need for central regulatory framework rather than state framework is very important and need of the hour to ensure that the e-healthcare can serve pan India to provide affordable, quality and primary healthcare to all segments of the society at large. For instance, the law does not identify delivery vis-vis dispensing. 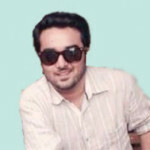 Anurav Rane, CEO, PlanMyMedicalTrip. com, commenting on the Startup India initiative by the government told Elets News Network, The PM speech was like an icing on the cake. While the entire summit was aimed at promoting startups, our expectations were limited to motivating the youngsters in taking initiatives for doing something they believe in. However, we truly feel that this summit has been worthwhile after listening to the announcements made by the PM. Policies like no capital gain, no taxes for threeÂ years, and most importantly, the Startup Fest will allow us to build a healthy collaborative environment with an aim to grow in this competitive world. The Prime Minister’s initiative is a good beginning but simultaneously needs to build up the momentum, he added. The roadblocks that Indian startups are facing today are manifold whether in terms of reach or speed of Internet or in terms of technology, because in the long term, reach as well as technology advancement will be very important for startups to grow and flourish in India. 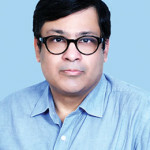 Elaborating on the flexibility that a healthcare startup company expects from the government, Suvro Ghosh, Founder, Lazoi, said, â€œAs there is lack of proper knowledge about online healthcare domain, the government can take this issue and start educating our people to book through online portals for greater convenience of the patients and with least hassle. A thorough campaign is needed to make more people aware and especially in rural areas, so that more and more people go the registered practitioner rather than to quacks, which will ultimately lead to more traffic to online healthcare portals. The government can also make it mandatory for all medical practitioners to register themselves with their respective organisations online, along with all their details, and update it regularly for general people to know and choose their doctors. Full tax benefits should be given till one starts making profit. There is a requirement of one-window system for all regulatory sanctions. There is a need to allocate a corpus of funds to be given to startups after due diligence as a loan for them to grow and expand. To foster innovation, delivery of healthcare should be exempt from service tax if it is a health services company involved in various aspects of care, including home care, discounted access to care, insurance, etc. IRDA should regulate the insurers and not other parties related to them, such as brokers, TPAs, assistance companies, etc. This will allow these industries to evolve and create new products for Indian market. Insurer agents should be allowed to distribute insurance products of more than just one life, one nonlife and one health insurer. This will lead to deeper penetration of insurance, which ultimately is very essential for the Indian public, adds Varun. India faces an immense challenge as far as competent workforce is concerned in healthcare domain and where technology can play a crucial role. Regulations are important in this industry as we are dealing with the health and lives of people and unless the government regulates the proceedings well, it will be difficult to offer safe and well researched treatment to the general public. However, unfortunately healthcare is over regulated in India. Regulations here present a major roadblock in research and innovation as most regulators have a closed mind towards innovations. It is almost impossible to get new trials registered in our field and even if you do, hardly any trials in the recent history have been approved by the regulatory bodies. The venture capitalists (VC) or private equity firms look for startups beyond just aggregation and price discovery. They look for companies offering effective care delivery, along with good data play. However, sadly though, there are not many startups coming up with the ideas in the preventive healthcare domain leveraging technology. While funding, the VCs do not opt for pure molecule-based research, but about the ideas that can improve access in healthcare domain. In the October-December quarter of fiscal 2015-2016, 17 Indian Healthcare IT companies received VC funding â€” the highest ever in a single quarter, according to a report by Mercom Capital Group released last month. There were also two M&A transactions involving Indian companies, the report said. Talking about healthcare IT startups, the report said investment worth USD4.6 billion were made in 2015 through various venture capital and private equity investors.